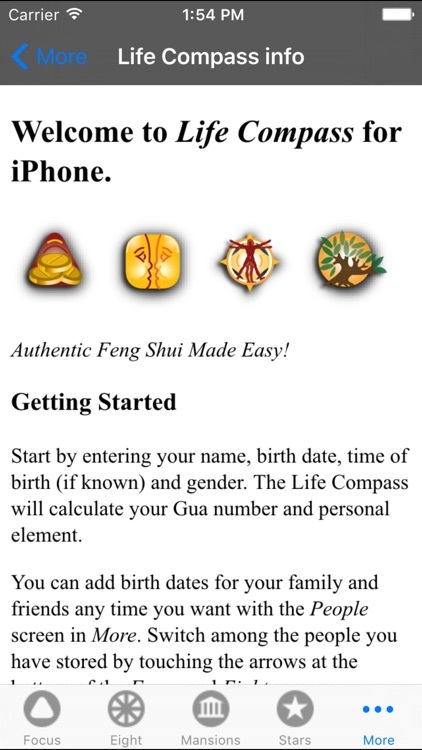 Navigate the world of Feng Shui with this easy-to-use authentic App. Follow the Focus Compass as it points you to your four most positive directions for success, relationships, health and growth. Change your surroundings—and your life—when you arrange your desk, bed or furniture to align with your best energy. 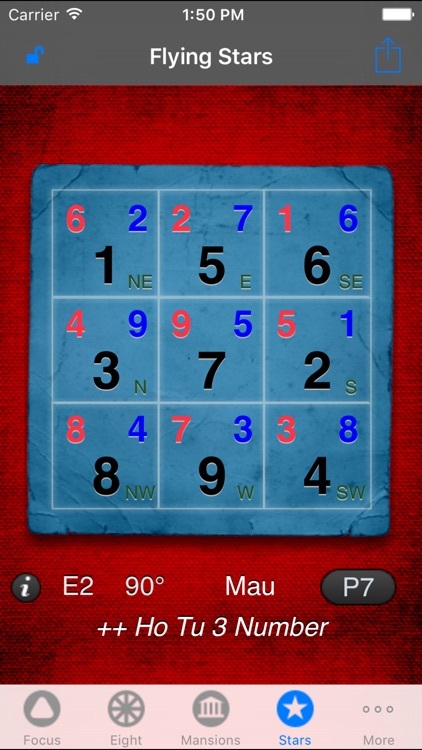 Personal calculations based on your Gua number. Having relationship problems? Want a Career boost? Health issues? 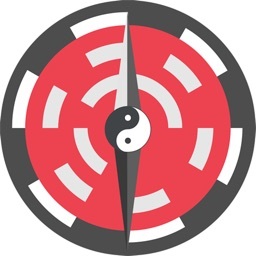 Get a Life Compass and instantly find the Qi (energy) that will best support your relationships, profession, health and personal growth. 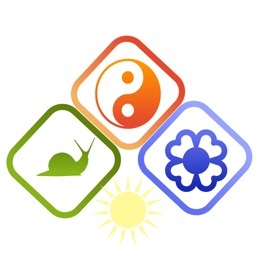 Change your life now by aligning your surroundings with your best energy-Easy to navigate for the casual user, yet accurate enough for the authentic practitioner. 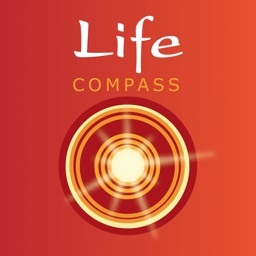 Life Compass comes with Focus screen enabled. Generate and store unlimited friends Gua (Kua) numbers and their four positive FortunePoints for Success, Health, Relationships & Growth. Get the whole picture. 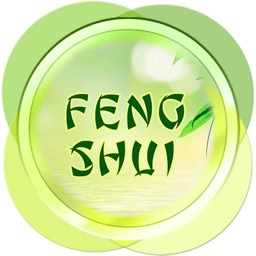 This upgrade calculates your eight types of Feng Shui energy to instantly identify your FortunePoints or fortunate AND challenging directions. Discover which directions to seek as well as those you should avoid. 8 Directions points to your personal directions for: Success, Relationships, Health, Growth, Illness, Loss, Frustration, and Disaster. 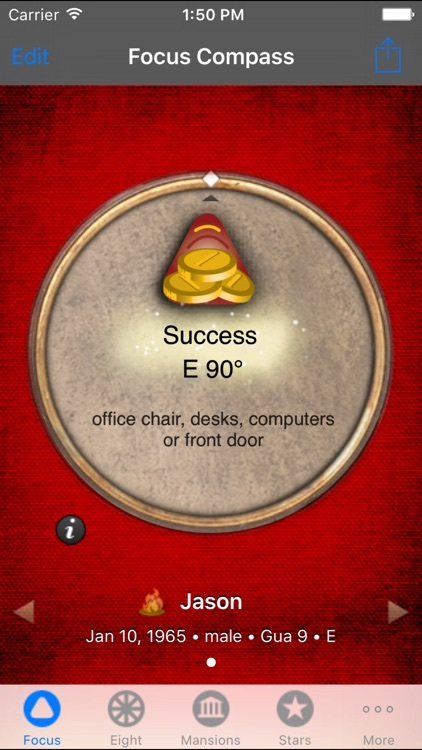 Use the Augmented Reality screen to find exactly what you are engaging with positive or negative Qi (energy). Now that you know your best directions, find your best space. The 8 Mansions upgrade combines spatial Feng Shui with information about a building's facing compass direction to locate the positive and negative sections of your home, office, or building. 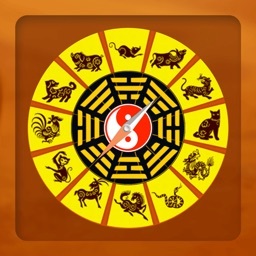 Also known as Ba Zhai, 8 Mansions Feng Shui helps you determine what houses or buildings are most compatible with you, as well as what rooms are most suitable to be used as bedrooms, offices, living rooms, etc. 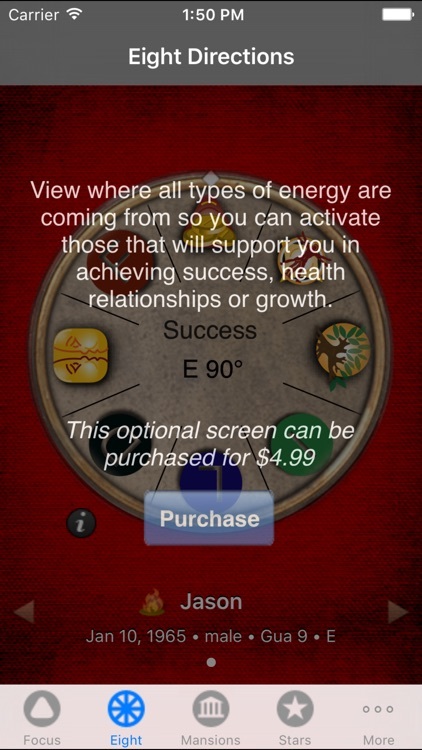 Touch each section to find tips and cures to enhance the flow of energy in your surroundings. 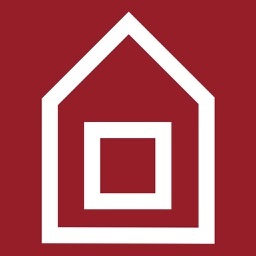 Get the most complete building analysis, instantly. 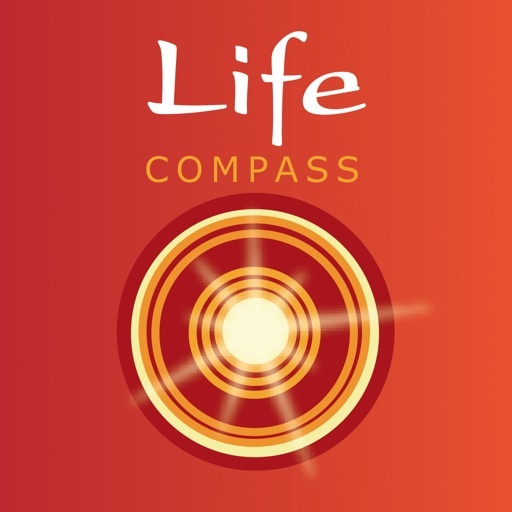 The final upgrade to the Life Compass features the Flying Stars, one of the most accurate and complex building Feng Shui disciplines. Learn how the energy in a space changes based on time and directions. Using intricate, millennia-old Xuan Kong charts, the Flying Stars function offers tips on how to enhance the positive forces in a space. 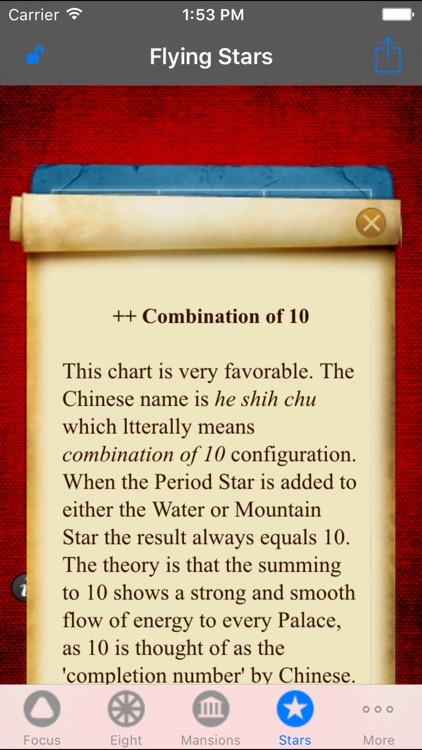 Equally important, it generates accurate cures and fixes for unfavorable energies.